Back in September I sent all the girls withing the Cherish Circle of Do Good Stitches little parcels with the back ground fabric for my October blocks. Since then I have been getting little surprises in my mail box then today the last ones arrived. I was so hoping that what I saw in my head would translate. Here is the mini mosaic I posted to Flickr for the girls. as I wanted each of them to make their own unique feathers. plus I have two blocks left for the back. 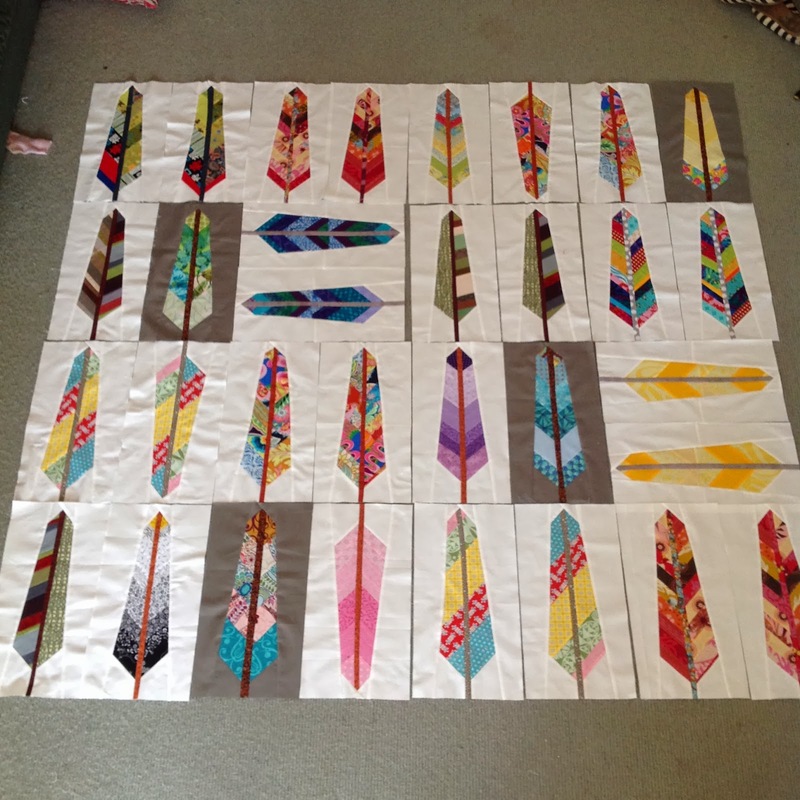 Now for the quilting. My limit/ability stops and starts at straight lines (well I like to pretend they are straight!) so do I do random or just vertical? This pattern is available as a free download HERE if you are interested. 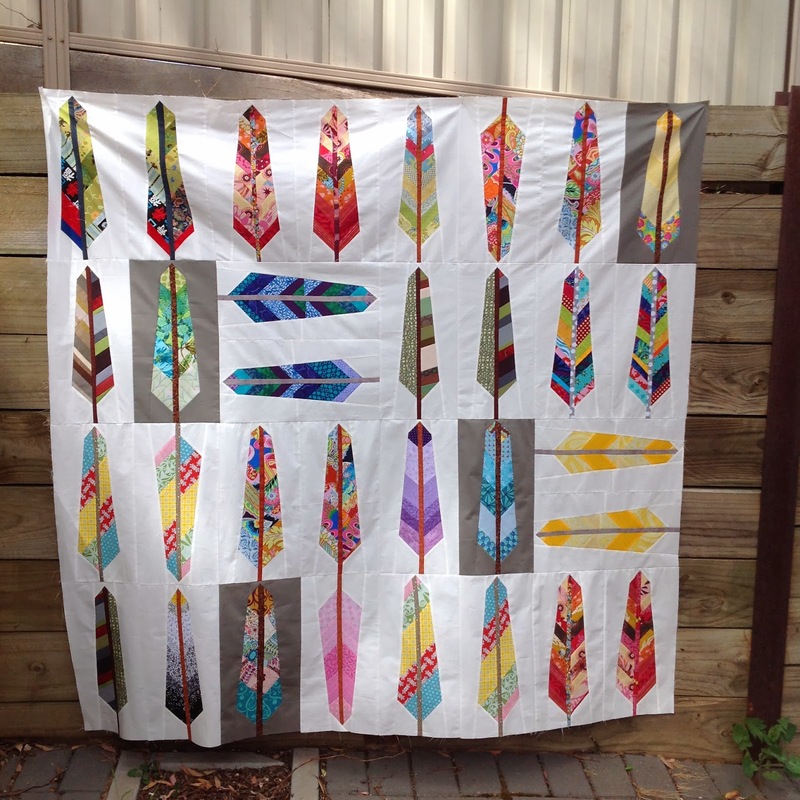 I just love these feathers..... its a fantastic quilt top and well done to all the contributors.... 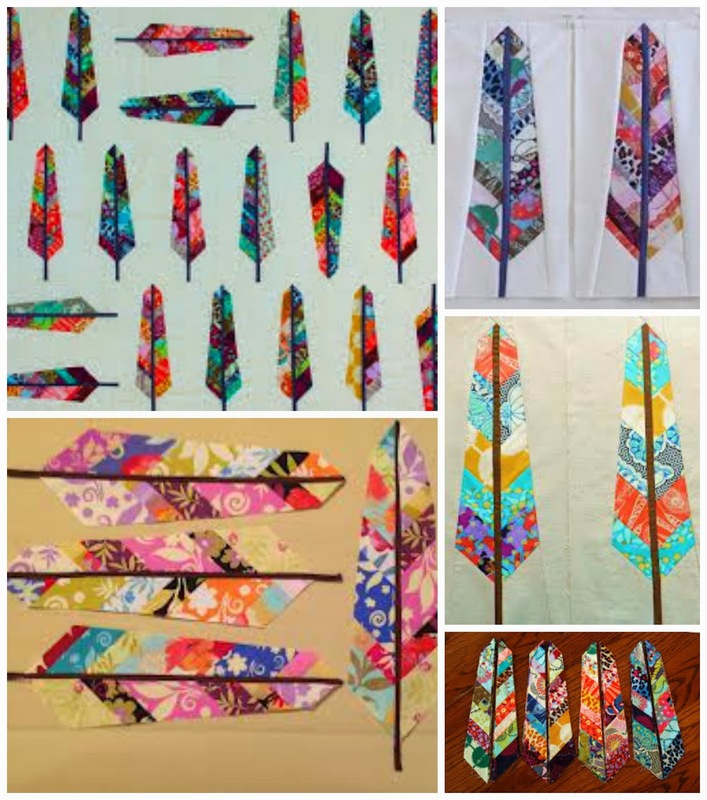 I think either way you decide on the quilting it will be lovely - just different ...... of course you could always try your hand at some feathers????? Wow - what a fabulous quilt this will be, Sharon. That is so stunning. It just looks so effective. Well done to all of the girls. 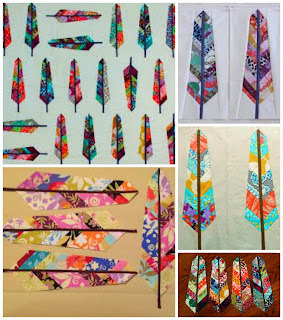 All the feathers are fabulous.. Will heck out the link, thanks Sharon. Your group has done a great job, te feathers look fantastic, as though they were meant to be together. 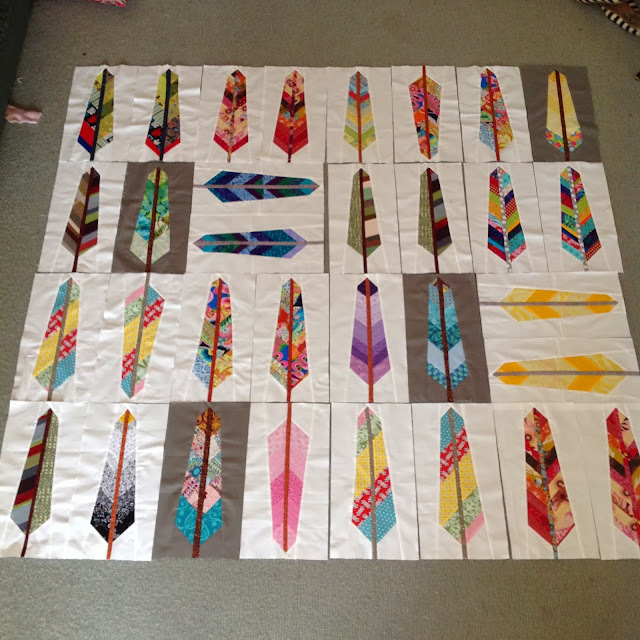 Stunning is the only way to describe your quilt...everyone did so well on your bee blocks...congrats and am looking forward to seeing this one quilted. Your quilt top looks great Sharon. Another fabulous addition to your pile of quilts. They all look beautiful. another one I'd love to see up close. Can't wait to see how you quilt this one too.